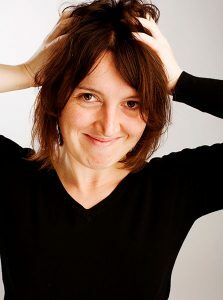 Eleanor Tiernan - I want a comedy night! If you ever see Eleanor Tiernan gazing wistfully at skyscrapers and bridges then that’s because she quit a career in civil engineering so she could tell jokes to strangers. This proved to be a very prudent move indeed as within a year Eleanor was popping up on Ireland’s main TV channel, RTE as well as BBC’s One Night Stand with her thought provoking and occasionally surreal brand of stand up all delivered completely dead pan. “I’m aiming for opium but it’s probably low grade heroin.” says Eleanor of her delivery. The usual run of circuit and festival appearances followed covering everywhere from Galstonbury to a biker’s bar in the Phillipines. Tour support work has included Stewart Lee, Reginald D. Hunter and her better known cousin Tommy. Expect to see a lot more of Eleanor as she is now based in London where she makes social faux pas and loses things on public transport. When not telling jokes or performing in sketches and sitcoms Eleanor regularly contributes to newspapers, magazines and websites.